Three times a week kids meet with coach-mentors for 90 continuous minutes of play and instruction. 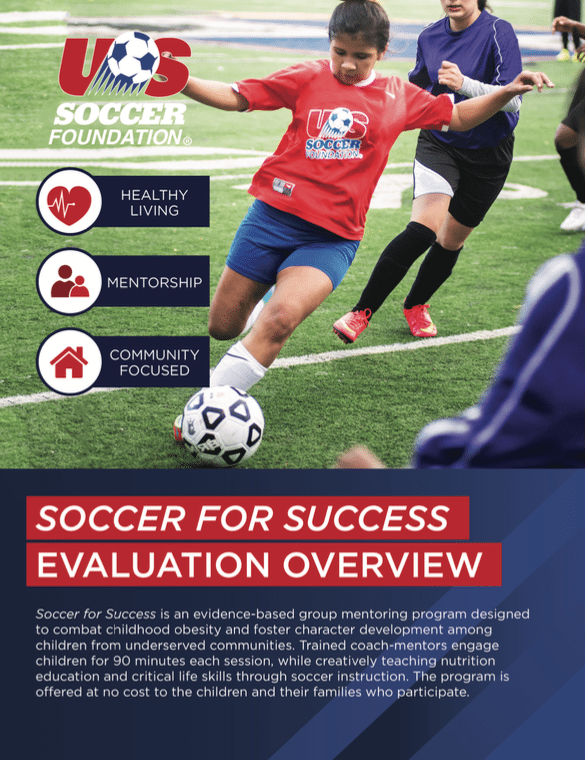 Each child receives a Soccer for Success T-shirt and a soccer ball. Coaches and mentors share hands-on lessons about healthy foods, nutrition, and making healthy choices. All kids gain confidence and learn about persistence, teamwork, and the value of hard work as they develop the fundamental skills of soccer. Older teen participants can learn to mentor younger players in the program and become Coach-Mentors. FLIPANY’s Coach-Mentors meet with families and guardians to share the benefits of an active and healthy lifestyle, to serve as role models, and to share ways to support their children’s personal growth. FLIPANY’s certified Coach-Mentors can deliver this program at partner sites for flexible time frames ranging from an 8-month after-school program to a 6-week program.